The fourth day of the fifth month of every year is an unofficial secular holiday that celebrates the Star Wars franchise created by George Lucas. Known as ‘Star Wars Day’, the 4th of May is considered a ‘geek holiday’ by fans of Star Wars in order to celebrate the iconic film series and its impact on geek culture. This particular date was chosen because of the phonetic similarity and pun on the famous catchphrase “May the Force be with you” – “May the Fourth be with you”. 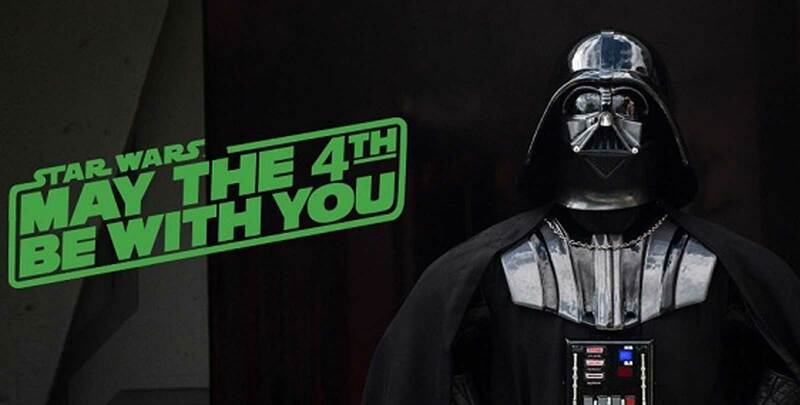 Although the ‘holiday’ may not be officially recognised by Disney and Lucasfilm, it is still celebrated by both companies, each of which embraces it annually through promotional materials and social media. Star Wars Day is also enjoyed and celebrated each year by members of the Vamers Crew. As such, Vamers is happy to reveal that the Vamers Store will continue this tradition by discounting all Star Wars related merchandise, including all collectibles and Geek Chic items, every year. To learn about Vamers Store discounts and promotions, please visit our social media (Facebook/Twitter/Instagram) or subscribe to our mailing list. Have a great Star Wars Day, Vamerites!